Hostel-Chalet-Gite The Chamoniard Volant is a cosy and comfortable hostel located in Chamonix, French Alps. The property offers a wide range of accommodation for all. The Chamoniard Volant has dormitories for 4, 6, 8 and 18 beds, with shared bathroom. Blankets are provided and now all dorms are locked with access code. Free onsite car park is available and the hostel offers a free Wi-Fi access. Self-catering kitchen is also available. There is an onsite restaurant, for any further information please do not hesitate to contact the property. Breakfast is also served every day. Please note, breakfast is included only for dormitories with 4 beds (offer available from December 2015). You can order breakfast and dinner by mail before your arrival or at your arrival. 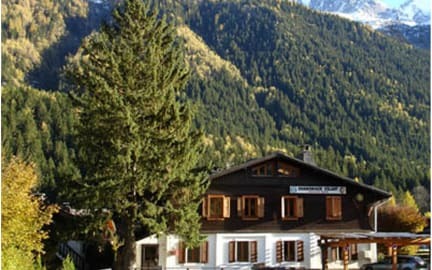 Hostel-Chalet-Gite The Chamoniard Volant is well-located in Chamonix, French Alps. The property is located only 10 minutes’ away from the city center of Chamonix. The Chamoniard Volant is near the woods and Nordic ski-slopes - 10 minutes by car. Guests will enjoy the views of Mont-Blanc and Aiguille du Midi from the property. The Chamoniard Volant offers a wide range of accommodation, dormitories with 4, 6, 8 and 18 beds, with shared bathroom. Blankets are provided and now all dorms are locked with access code. Check-in time starts at 12 pm. Please note: Reception office is open from 10 am to 10 pm. If you have any doubt, please do not hesitate to contact the property. Cancellation policy: 120 hours (5 days) before arrival. Breakfast included only for dormitories with 4 beds. Offers available from December 2015. For the other dormitories, breakfast is not included. You can order breakfast and diner by email before your arrival. Opening time: from 10 am to 10 pm. Please let us know in advance, if you are arriving after 10 pm, so that we shall give you the access code. Pets are allowed at this property upon request. Please note: Before arrival, you should contact the property. The host was great and helpful. Breakfast was nice too. They also gave me a free bus pass to roam around the town. Overall, a wonderful experience. Very welcoming atmosphere and staff. Some would find the gas cooling burners in the kitchen old fashioned, I personally enjoy cooking over gas stoves. It was a little chilly in the room. Excellent hostel! Great facilities and staff, very well looked after. They are more than happy to accommodate whatever special requests you might have too. Will definitely stay again if in Chamonix! This hostel was pretty great considering chamonix is expensive when it comes to hostels. It’s a little far from everything, however, the busses are included with your stay so you can go anywhere in chamonix. My friend did get his shoes stolen, however, that can happens at any hostel. Also, the kitchen was extremely useful and saved us a lot of money. Overall, it was a pretty good hostel and I would recommend it. Very polite and helpful staff. Close to public transportation. 10 min walk to city centre. Cheap place to stay in an expensive city. 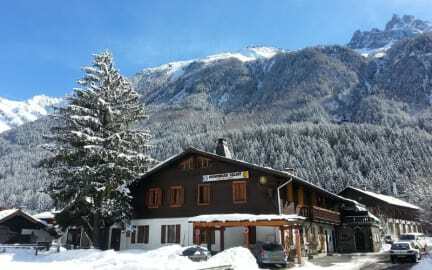 Chamoniard Volant is well located with just a 10 -15 min walk to the centre of Chamonix. The hosts Eric and Stephanie are very friendly and were very helpful. The hostel is clean and the rooms are well kept. There are a few things however that could be improved.1, There’s no hand wash facilities in the toilets.2, showers hot but turn off too quickly 3, tried to book evening meals in advance but told it wasn’t possible. 4, room sinks have no lights. Overall, a nice stay and I would stay again. Objectively, the location and how old the hostel is make it seem like not a great place. However, given Chamonix's priciness, this place is the best you are going to get. The kitchen is great for cooking your own meals. Additionally, the I made some great friends while staying in the hostel, so all in all I thought it was a fun place even if there are only two outlets in the rooms and one shower room for everyone in the house. It's simple but it does the job. The owner is a super friendly person and will help you with what he can. Although, the place is not the cleanest and there are no lockers for every room. I had no security issues but I would like to have a place to be sure my stuff is safe. Some other staff don't speak English but they might understand you. There are no events at all organized by the hostel to meet other travelers and, most people that I saw there were not very talkative. If you wanna save money, definitely consider this place.